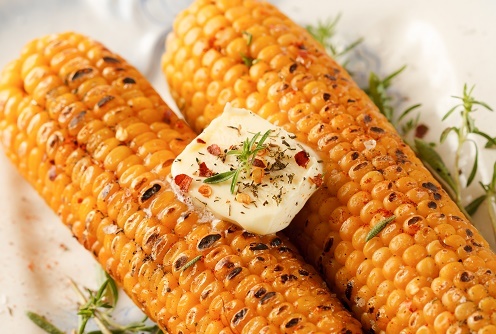 Grill some corn as a side dish for your burgers. Open the corn and pull off the silk. Sprinkle with salt and place a pat of butter in each ear. Fold the husks back up and wrap in aluminum foil. Grill corn over medium high heat for 30 minutes, turning frequently.